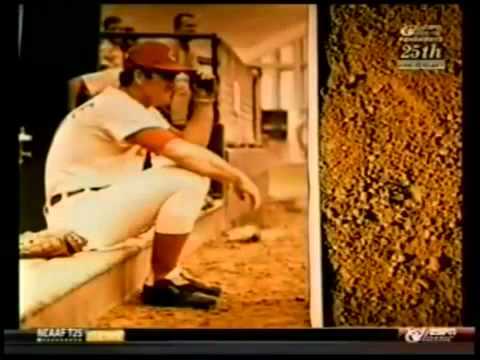 Brief Synopsis – Documentary about one of the most controversial figures in baseball history, Pete Rose, who’s story is debated all the time by fan of the sport. My Take on it – Being a kid who grew up on baseball in the late 70’s and early 80’s, I knew of the amazing feats that Pete Rose was able to achieve during his years playing and leading the sport. Over the years, I have learned much about how famous athletes behave off the field and was of course disappointed when I heard about the gambling controversy that has plagued both Rose and the sport for nearly 30 years. This documentary gives a great view of both sides of this controversy and it does it in a non-judgmental way so that everyone watching it can try and decide for themselves. Even many of the interviewees in this differ on their opinions of the situation. This film has some great interviews with many former players, friends and family of Rose and of course interviews with the man himself. They do a great job telling us about his history and how much of an impact he had on Baseball over the more than two decades that he played. He was an athlete’s athlete and always gave his best effort no matter what he did even if in the end it helped lead to his own personal downfall with his family, friends or even baseball itself. If you want to watch this great and informal film, it’s on You Tube. Bottom Line – Sums up the life and effect on history that one of the greatest players in Baseball history. Great interviews with friends, family, other former baseball greats and of course the man himself. Really does a great job of showing both sides of this controversial story without trying to take sides. Recommended!